Author(s) Keegan, William F.; Hofman, Corinne L.; Keegan, William F.; Hofman, Corinne L.
The islands of the Caribbean are remarkably diverse, environmentally and culturally. They range from low limestone islands barely above sea level to volcanic islands with mountainous peaks; from large islands to small cays; from islands with tropical rainforests to those with desert habitats. Today's inhabitants have equally diverse culture histories. The islands are home to a mosaic of indigenous communities and to the descendants of Spanish, French, Dutch, English, Swedish, Danish, Irish, African, East Indian, Chinese, Syrian, Seminole and other nationalities who settled there during historic times. The islands are now being homogenized, all to create a standard experience for the Caribbean tourist. There is a similar attempt to homogenize the Caribbean's pre-Columbian past. It was assumed that every new prehistoric culture had developed out of the culture that preceded it. We now know that far more complicated processes of migration, acculturation, and accommodation occurred. Furthermore, the overly simplistic distinction between the "peaceful Arawak" and the "cannibal Carib," which forms the structure for James Michener's Caribbean, still dominates popular notions of precolonial Caribbean societies. This book documents the diversity and complexity that existed in the Caribbean prior to the arrival of Europeans, and immediately thereafter. The diversity results from different origins, different histories, different contacts between the islands and the mainland, different environmental conditions, and shifting social alliances. 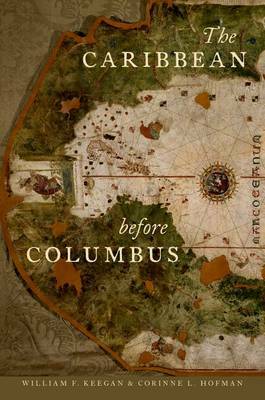 Organized chronologically, from the arrival of the first humans-the paleo-Indians-in the sixth millennium BC to early contact with Europeans, The Caribbean before Columbus presents a new history of the region based on the latest archaeological evidence. The authors also consider cultural developments on the surrounding mainland, since the islands' history is a story of mobility and exchange across the Caribbean Sea, and possibly the Gulf of Mexico and Florida Straits. The result is the most up-to-date and comprehensive survey of the richly complex cultures who once inhabited the six archipelagoes of the Caribbean.